An unprecedented range, available in select international markets, which invites consumers to explore the diversity of styles of The Macallan, taking them on a virtual journey of discovery of the Whisky Makers bench. The Portofino Automatic with a silver-plated dial and black alligator leather strap is optionally available with a Milanese mesh bracelet in stainless steel. The solid, mechanical automatic movement reliably ticks away the time. The evenly rounded sides of the 40millimetre stainless-steel case make it appear even slimmer. A giftable ensemble that includes a sampling of Commodity’s most-coveted scents - Orris, Oolong and Book. The kit includes a trio of NEW 2.5oz soy-based candles and their corresponding 5ml Eau de Parfum travel-sprays. 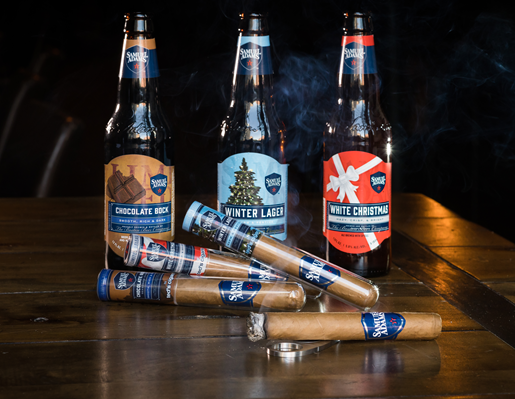 Exclusive with Ted's Cigars The cigars, handcrafted in the Dominican Republic and available in three distinct flavors as a 3-pack, are aromatically seasoned with Sam Adams Winter Lager, White Christmas and Chocolate Bock, respectively, to be savored on their own or paired with their seasoning beer. The solid cologne that fits in any pocket or bag and makes it easy to smell (subtly) great throughout the entire day, whether you’re working, leaving the gym or traveling the world. aged in Spanish Oloroso Sherry casks for an extended period of time to create a slight sweetness and a uniquely spicy finish. Framebridge is the simple way to custom frame everything you love and the easiest way to be thoughtful this holiday season. Framing pricing ranges from $39 to $189, which is up to 70% less than traditional custom framing and every frame is custom made for your piece using top-quality materials. For those who prefer to toast the holidays with a classic martini. The set comes complete with two stirs, olive picks and a bottle of Grey Goose.